Depending on your smile concern, a crown or bridge may be all that you need to get your smile back in good shape. One device helps patients who have trouble teeth while the other helps those who have missing teeth. Both of these dental restorations can be installed by a dentist at Countryside Dental in Chatham, NY, in a matter of weeks. Bone tissue has the potential to grow back, as does soft gum tissue. But dental enamel, the white hard covering over your teeth, does not. Once it is lost, it cannot be regenerated by the body. This is why dentists often recommend crowns to patients who have soft, damaged, broken, or worn teeth. Crowns reinforce, protect, and beautify. 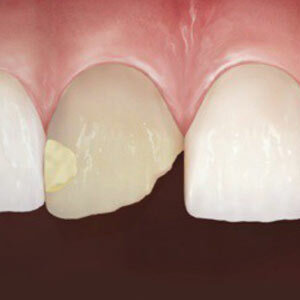 They replace the outer enamel and put a new lease on the life of a troubled tooth. Most dental crowns are constructed using porcelain. A dental bridge connects two teeth located close to each other in the mouth for the purpose of closing a gap in the middle. Bridges are made of two crowns and a false tooth, also called a pontic. Installing a bridge requires your dentist to remove the outer enamel of the adjacent teeth so that they can be fitted with the crowns. The pontic snugly fits over the open area of the gumline, covering the space. Unfortunately, many people don’t fix their teeth because they avoid going to the dentist, possibly due to dental anxiety. If this sounds relatable, your Chatham dentist can ease your fears while providing you with a viable solution. Dental crown and bridge restorations can do wonders for restoring and strengthening your smile so that it isn’t affected by dental diseases. They restore proper function to your teeth and help avoid further damage. Bridges act as space maintainers, preventing changes in smile alignment. Crowns and bridges also have cosmetic advantages—though they are made from synthetic materials, they look very natural. Crown and bridge restorations have helped numerous dental patients shore up and complete their smiles. Do you think you might benefit from one of these dental devices? Call (518) 392-5231 today to consult with Dr. Domenic Riccobono at Countryside Dental in Chatham, NY.